My name is Ben Rowell and I live in Wasilla, Alaska. I am a licensed fly fishing guide, fly tier, and freelance writer. I moved to Alaska from Buffalo, NY in 2003 and have been fishing Susitna River tributaries for the past ten years. My passion is fly fishing for trout on the small streams that flow from east to west under Alaska Highway 3 (also known as the Parks Highway) into the Susitna River. Highway 3 Angler LLC is a fly fishing guide service operating in the Susitna Valley. I offer full-day fly fishing float trips half-day walk and wade fly fishing trips on my home waters of Willow Creek. 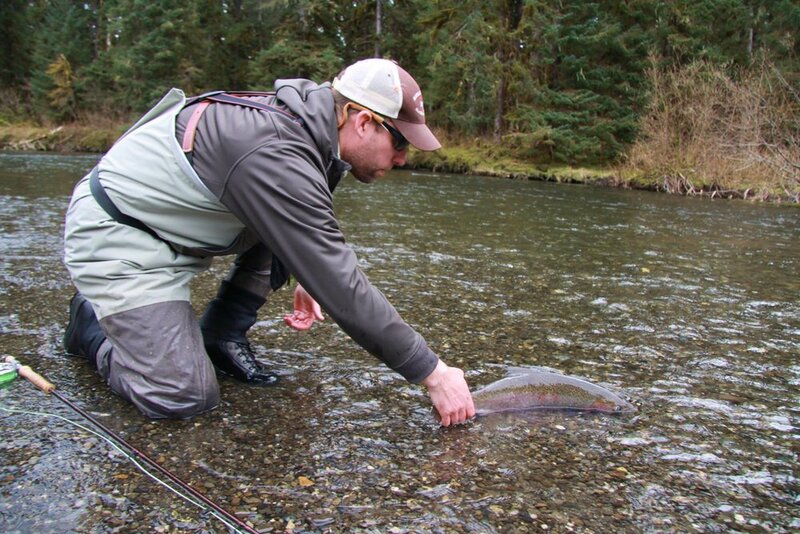 Target species include rainbow trout, grayling, coho salmon, chum salmon, and pink salmon. Highway3Angler.com houses my blog. The blog started in 2017 as a way for me to share my passion for fishing in the Susitna Valley and also to spread the word about how great the fishing can be. I post trip reports, stories, tutorials, a little bit of fish politics, and product reviews. Whether you call the Susitna River and its tributaries your home waters or are visiting for the weekend, Highway 3 Angler hopes to play a role in making your visit a success. Feel free to ask questions if you have them or leave a comment. And if you like to go fishing in one Alaska’s most accessible, productive, and family-friendly fisheries, please give me a call or contact me through this website. Thanks for visiting Highway 3 Angler. Highway 3 Angler LLC is a fully insured Alaska licensed business operating in the Susitna Valley. Your guide is permitted by the Alaska Department of Fish & Game and is first-aid & CPR certified.